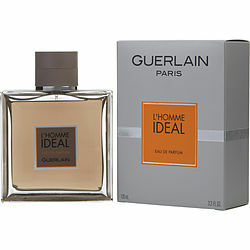 Inspire yourself to achieve the pinnacle of individuality with L'Homme Ideal from Guerlain. Introduced in 2014, this fragrance is designed for the man with the courage to be himself in any situation. It opens with brilliant citrus notes that delight the senses, followed by soft hints of complex rosemary. Leather notes create a classic masculinity. The scent dries down to captivating notes of Tonka bean and almond, bringing a depth and warmth that draws people to you in wonder. Wonderful, masculine aroma. I wear it modestly, and women turn their heads, as I pass by. Others I sense are "Aroused", as I sense their pheromones, more so the longer we are near. One mentioned feeling "Intoxicated". Not bragging. Just the opposite. Great Price! I’ve been looking for this for awhile now. Great scent for special occasions when you don’t wanna sell like everyone else. L'homme Ideal EDP by Guerlain. I love this fragrance. It's warm and comforting. Smells really good. Everyone loves it except my wife sadly. But to her nothing smells good except ysl l'homme line or Valentino uomo. Formal fragrance. Average longevity. 8/10 overall. Thanks fragrancenet! I couldn't find this fragrance at any other reliable site. Awesome fragrance! I've been dealing with this site since high school and I'm 30 now. I'm not going anywhere. Keep it up! This is wicked stuff. Bold, sophisticated, masculine and unique. I LOVE IT!!! Too bad fragrancenet doesn't have but samples. I had to get it elsewhere.